A Day-Of-Wedding Planner is the perfect solution for couples who have decided to handle most of the planning themselves. Planning your own wedding is a great way to stay on-budget and to keep costs down. But when your wedding day arrives, you will need a professional at your side to execute the minute-by-minute specifics of your plan. Your Day-of-Wedding Planner will be on-site from beginning to end. We will be the focal point, the main contact person on your wedding day. Before your wedding day, though we are certainly available to brainstorm and answer your planning questions, all agreements should be finalized with your vendors prior to the wedding. A Broadway production needs a stage manager ... your wedding needs a Day-Of Planner! Create an all-inclusive timeline document with the couple. Review all arrangements the couple has previously made with vendors. Confirm timeline plan with vendors. Ensure all vendors know when and where to be and where to set up. Ensure that all vendors know to contact Randy Taylor Weddings (phone, txt, email) with any and all questions during the event. 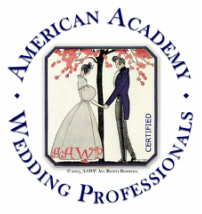 Work with wedding officiant to lead the wedding rehearsal. During the rehearsal, the wedding party meets at the ceremony venue to rehearse the processional, ceremony, and recessional. Ensure the wedding party knows when and where to be on the wedding day. Receive delivery of personal flowers (bridal bouquet, bridesmaids flowers and corsages/boutonnières). Ensure the officiant has the marriage license before the ceremony begins. Ensure photographer has the photo shoot list. Gather wedding party and immediate family for photos. Coordinate arrival / parking of transportation services. Provide regular reminders to ensure the entire wedding party is on-time. Remind wedding party of any last minute details. Communicate with ceremony venue to ensure a smooth arrival at the ceremony location. Set up ceremony items (aisle runner, candles, sand ceremony, rose ceremony, love letter box, hand-fasting cord, etc.). Ensure that ushers/groomsmen arrive on time and are ready to pass out programs as guests arrive. Receive delivery of personal flowers for wedding party. Alert ushers/groomsmen as to when to begin escorting guests to their seats. Groomsmen will be coached on how to properly serve as ushers. Coordinate the activities of ceremony musicians / DJ. Working with the DJ, ensure microphones have been tested and are ready. Confirm ceremony music with musicians/DJ and determine what hand signals will be used and when to cue music. Act as a liaison with the ceremony officiant and decide what cue will be used to signal the start of the ceremony. Remain in regular contact with the couple and wedding party before the ceremony begins. Line up the wedding party for their entrance down the aisle. Cue ceremony musicians when wedding party is ready to begin processional. Gather family and friends for after-ceremony photographs. Gather witnesses to meet with the officiant to sign the marriage license. Greet vendors (band, florist, caterer, etc.) and ensure they know where to set up. Ensure reception flowers and decorations are set up properly. Ensure that gazebo, tents and lighting are set up properly and troubleshoot as needed. Confirm meal serving timeline with catering staff and servers. Set up guest book and pen, champagne flutes, cake cutting utensils. Set up amenities such as special baskets, hand towels, and soaps in washrooms. Ensure proper passing of cocktail hour food. Look over dining tables and make sure they are set up properly. Following cocktail hour, lead guests to the dining area. Help guests locate their dining tables. Cue the minister when it is time to offer the meal blessing. Locate the couple and position them so they are ready for their introduction and first dance. Cue band once the guests have found their tables and the couple is ready to be introduced. Cue band, photographer, and videographer when important events are about to take place (introductions, dances, toasts, etc.). Cue best man and father of the bride when they are about to be announced for toasts. Alert catering staff to pour champagne just before the toasts. Be aware of timing of catering service and make sure people are served promptly. Maintain a lost-and-found in a secure location. Distribute final payments/gratuities to vendors at the end of the evening. Remain accessible during the entire event. Ensure the schedule is followed, to prevent any overtime charges by the venue. Set up favor table towards the end of the evening. Pack up gifts, cards, and miscellaneous ceremony and reception items and have them ready to be taken to a family member's vehicle at the end of the night. Coordinate the couple's departure from the reception.